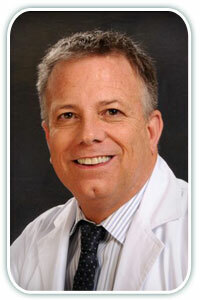 Home >> Providers >> David L. Hall, M.D. Dr. Hall has been with the practice since 1997. He completed his undergraduate studies in Chemistry at Berea College in Berea, Kentucky and graduate studies at Eastern Kentucky University in Richmond, Kentucky with emphasis in Physical Chemistry. He obtained his medical degree from the University Kentucky Lexington, KY. He completed his internship and residency at University Alabama Birmingham in Family Medicine serving as Chief Resident in 1989-1990. He has maintained board certification in Family Medicine since 1990. He first entered medical practice in Emergency Medicine and worked in Hopkinsville, Kentucky from 1990 through 1994. He joined Emory Health Care in June 1994 as an Associate Professor of Family Medicine during their initial expansion into the primary care arena. He was a volunteer physician during the 1996 Olympics and assigned to the Olympic VIP and Family members and the weightlifting and wrestling events. He is a member and Fellow of the American Academy of Family Practice,the Georgia Academy of Family Practice, the Medical Association of Atlanta, the Medical Association of Georgia, as well as a member of the Care Committee at Redeemer Lutheran Church. He also sits on the Board of Directors at Hemophilia of Georgia. In his spare time he enjoys doing martial arts, cycling, and spending time with his two grandchildren.